Kim recently graduated from the University of North Dakota with a Master of Science in Nursing. 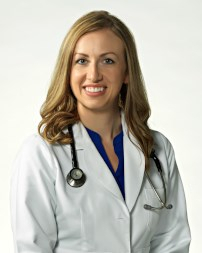 As a Registered Nurse for over five years, Kim has spent most of her nursing career in trauma and neuro-surgical critical care, with addtional experience in emergency medicine. She completed her primary care preceptorship at CliniCare under the supervision of Dr. Sumra from May 2016 to April 2017. She lives in Cavalier with her husband.